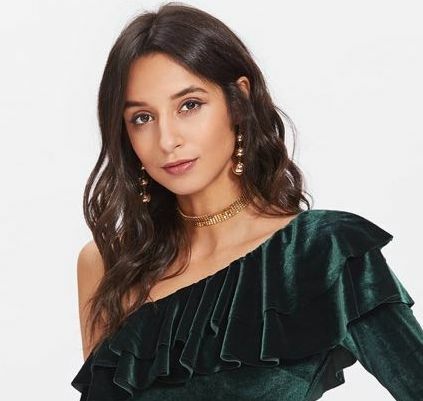 An elegantly curved dress has a trendy off-the-shoulder neckline styled with flirty layered bell sleeves that enhance the crisp, bodycon silhouette. Contrasting trim gives this mini dress its dramatic and chic impact. It is suitable for a party, going out and other semi-formal occasions.